The latest offering from Movies in the Sand, a monthly cinema series, has got us planning our first film-based trip of the year. Can you think of a better venue for cinematic treat than this intimate setting under the stars? This month’s series will showcase the legendary work of late actor Patrick Swayze, including an all-time favourite playing on Valentine’s night. There’s complimentary popcorn, as well as a wide selection of drinks and light bites. So where is this series of spectacular screenings taking place, we hear you ask? 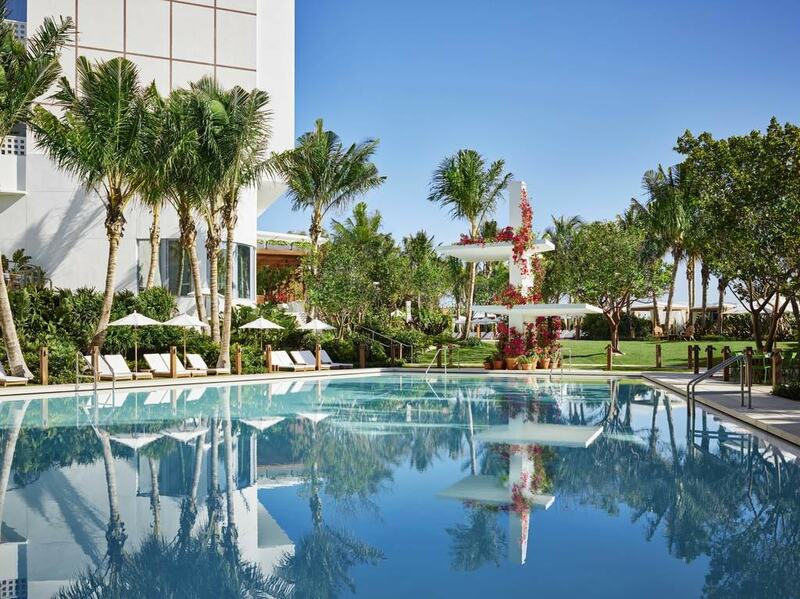 Located within a private enclave, The Miami Beach EDITION has 294 guest rooms, suites and bungalows. There are lavish penthouse-style apartments on offer as well as a Michelin-starred restaurant on site. 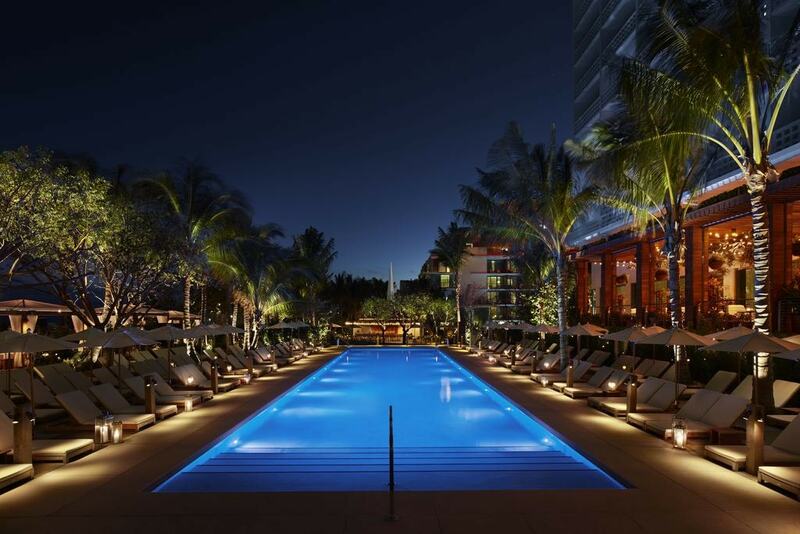 The unique hotel can be found at 29th Street and Collins Avenue in Miami. Screening will take place in the aptly-named Sandbox, a cosy space just off the main pool and by the beach itself. A screening of action-favourite Point Break (1991), which stars Keanu Reeves alongside Patrick Swayze, has already taken place earlier this month. Next month, on Valentine’s Day (of course), there will be a screening of Dirty Dancing (1987). The romantic classic is ideally suited for the day and the location, and features Swayze’s distinctive dance moves and some of the best dialogue in modern cinema. Wrapping things up on March 16 will be To Wong Foo, Thanks for Everything! Julie Newmar (1995), a movie which showcased the comedy talents of Swayze, an aspect that was often overlooked in the actor’s career.